1. Top coaches gone: Defending champions Prior Lake (boys) and Apple Valley (girls) welcome new head coaches this season. Casey Mithun replaces Chris Fleck, who guided the Lakers to state titles in 2016 and 2018. Mitch Benson takes over for Alexandra Ross, who directed the Eagles to their first state championship. Prior Lake looks capable of a solid transition with players such as Benjamin Jung (23 goals), Luke Bloedow (28 assists) and strong defender Brian Kallberg. Apple Valley must find players to complement its solid duo of sophomore Taiva Reinertson (23 goals) and junior Lily Leong (15 goals). 2. 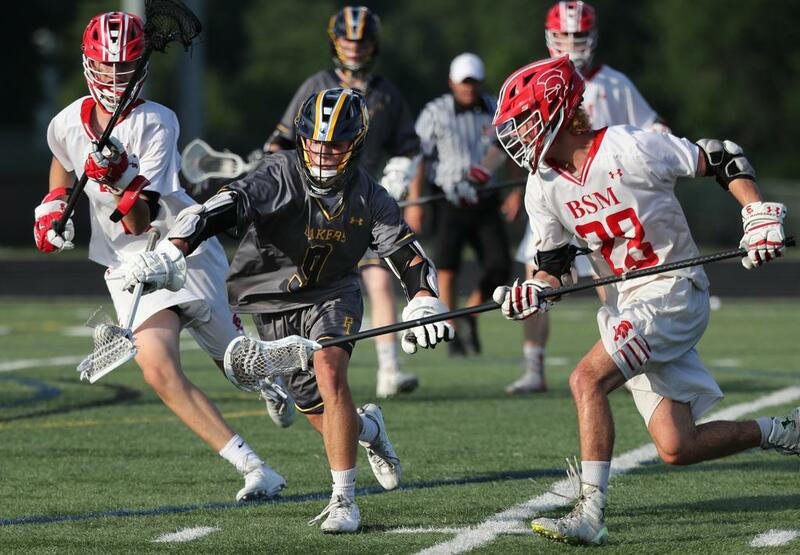 New programs: Though the explosion of new varsity lacrosse programs has passed, growth continues. Moorhead joins the ranks this spring, one season after fellow outstate community Brainerd began fielding varsity teams. Fringe metro-area schools New Prague and Waconia make their varsity debuts. The Rogers girls’ program goes it alone this year after previously being a coop with nearby Elk River and Zimmerman. And Southwest Christian, located in Chaska, begins its second year of competition and first as a varsity program. “What we may lack in experience, we make up for in ambition,” said Stars coach Erica Lapham, a sentiment several new programs share. 4. Missing stars: Knee injuries claimed two of the top midfielders in girls’ lacrosse: Prior Lake’s Jordan Anderson and Holy Family’s Leigh Steiner. Both suffered a torn ACL and won’t play this season. The same injury knocked out St. Thomas Academy goalkeeper William Herzog for the season. Prior Lake, which lost in its section final by a goal, will lean harder on all-state midfielders Josie Kropp and Lauren Wick and attacker Payton Bloedow. 5. Circle these games: Rosemount and Eagan fielded a combined team in the early days of lacrosse and upon splitting, became natural rivals. Each year they play for the Clover-Cat traveling trophy, won by Rosemount last season. The teams play May 14 at Rosemount. The Irish’s April 20 away game at Wayzata will be extra special for first-year coach Kelsey Long, previously a Trojans assistant. “With me remaining friends with the Wayzata coaching staff and the players, I’m excited to be on the opposing bench playing against them,” Long said.